Banff National Park is one of the most beautiful and visited places not only in Canada but the world. With three ski resorts within an hours drive, stunning lakes, rivers, mountains and an unlimited supply of activities to keep tourists busy it’s no wonder why. Read my Top 10 Places to Visit in Banff here! For those of you interested here is a little history lesson on Banff. For those of you not, scroll down to the hotel section. In 1883 Canada’s first transcontinental railroad was completed. Three workers who were building the railroad in Banff stumbled upon a series of hot springs on the lower shoulder of Sulphur Mountain. Knowing this was a potential tourist goldmine heated debates soon began over ownership of this stunning land. By 1885 the springs and the surrounding lands of Banff were named Canada’s first National Park (and only the third National Park in the whole world). The Banff Springs Hotel (nicknamed by many as the famous ‘Castle in The Rockies’) was the first of many hotels built to encourage and then accommodate the booming tourism industry in Banff. Banff is the highest town in Canada and only 3.93 square kilometres large (out of the 6,641 of the national park itself). The population at last consensus was less than 10,000 people, yet more than 3 million people visit Banff each year…. that’s a whole lot of hotel beds needed. In winter Banff is a popular destination for those after a ski holiday, due to having three of the best ski resorts in Canada within an hours drive from town (Lake Louise, Sunshine Village and Norquay). Summer, however, is the most popular time to visit Banff due to the famous and stunning scenery like Lake Louise and Morraine Lake. 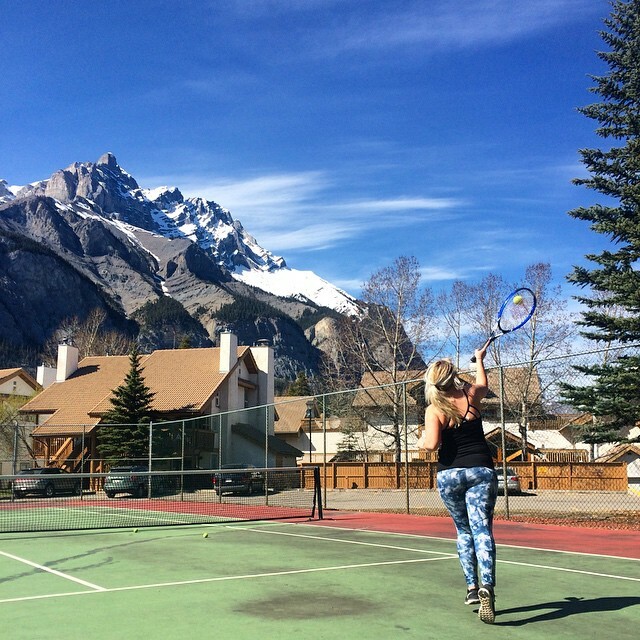 There is never a short supply of activities to do year round for tourists visiting Banff! The original Banff Hotel, this UNESCO World Heritage Site has over 750 rooms, countless facilities including a state of the art golf course (if you’re planning on staying over Christmas be sure to look up their Christmas activity booklet, it’s mind-blowing) and is absolutely stunning… but of course that all comes with a price. If you have the money to spend, you will not be disappointed with the Fairmont Banff Springs Hotel. 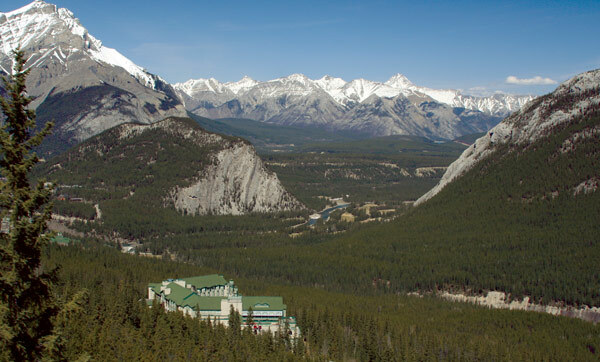 This 343 luxury room accommodation boasts some of the best views in all of Banff National Park. Not only are they a AAA/CAA Four Diamond Hotel but they also have ‘Eden’, one of only five Diamond restaurants in Canada. 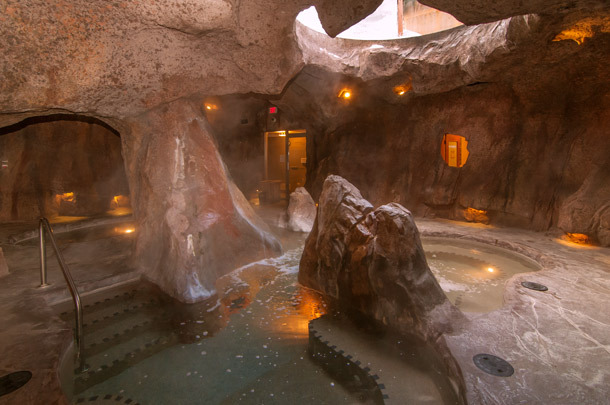 Of course staying in the luxurious Rimrock Hotel comes with a hefty price tag. For those of you who can afford it, enjoy! 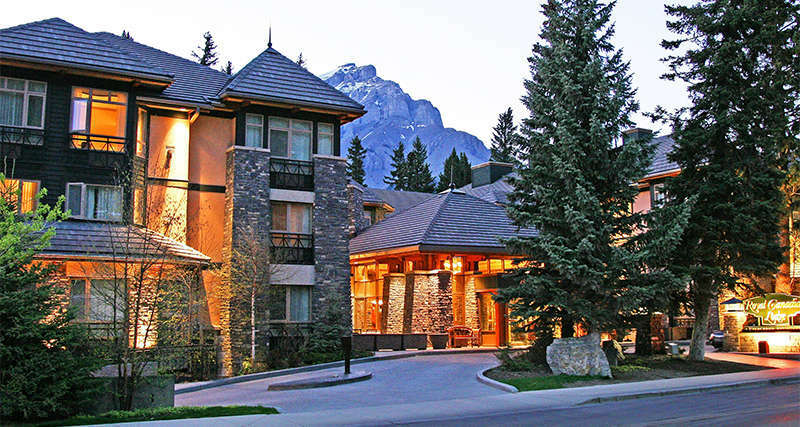 Also on the list of my favourite resorts in Banff would be The Fox, situated on Banff Avenue. This hotel is one of the newest in town so if you like modern decor, a great location and great facilities without breaking the bank this is the place to go. Quite possibly the nicest Chilli’s Restaurant ever is on site for your dining pleasure as well as a gorgeous ‘Cave and Basin’ themed hot tub, unlike any other I’ve ever seen. I’ve never heard anyone complain about their stay at The Fox so if you are looking for a mid-priced hotel that offers it all I highly recommend it! This mid-priced, scenic resort is one of my favourite in Banff National Park. 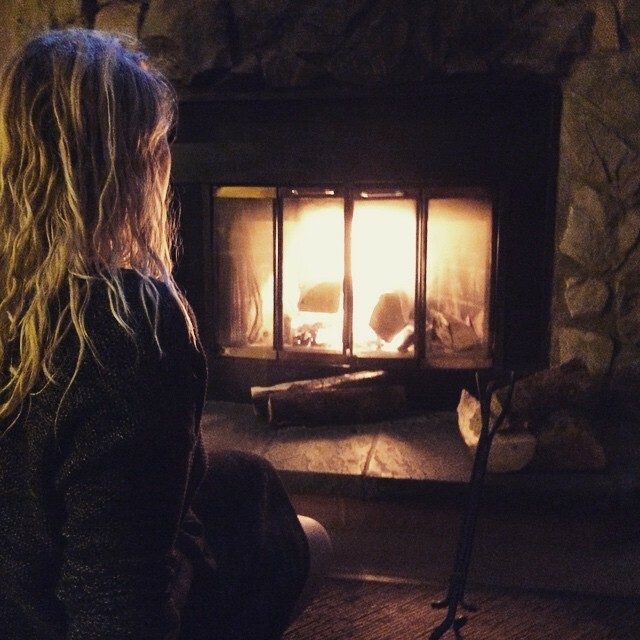 This resort boasts 107 condos of varying sizes, each with wood burning fireplaces (with complimentary and unlimited firewood), full kitchens and a patio/balcony. It is 2.3km out of town, but like many hotels in Banff they have complimentary bus passes for the Banff transit system for their guests. They don’t have a restaurant on site but they do have Barbecues and picnic areas for guests to use. It’s a great choice for families or large groups. My favourite feature of The Hidden Ridge Resort is definitely their incredible hot tub! I think it’s the best hot tub in all of Banff, with incredible views overlooking the town and its surrounding mountains! This resort, a five-minute drive from downtown Banff, is ideally set amongst eight acres of beautiful parkland, making it a much quieter alternative to the busy downtown area of Banff (they have a complimentary shuttle bus into town hourly FYI). Banff Rocky Mountain Resort has 169 rooms in a variety of designs and sizes to suit every need from basic hotel rooms, one bedroom condos, lofts, two bedroom condos all the way to 4 bedroom condos. If you are traveling with a large group or family and need home comforts like a full kitchen then this is the perfect place for you. My personal favourite is the 4 Bedroom Wolf Condos which sleep up to 10 people. It’s large enough to feel like a home away from home and is beautifully decorated in the resorts famous ‘wolf theme’. It’s also good to note that almost half of their rooms are pet friendly, so if you wish to take your pets on your holiday to Banff National Park this is the place for you (pet fees apply). This is also a part of Timeshare, if you are apart of that scheme. If you stay here don’t be surprised to see Coyotes, Wolves, Deer, Elk and even Bears from your bedroom window! The resort also has a full gym, squash courts, indoor pool (needs a bit of a renovation to be fair) and Tennis Courts (with the best views ever)! If you are looking for a budget accommodation in Banff that is still modern, clean, has all the amenities and is close to downtown then this is my top pick! 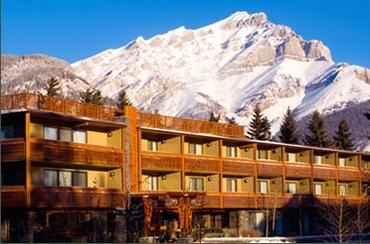 All 89 rooms at the Banff Aspen Lodge come with complimentary breakfast and a balcony/patio (most with mountain views). The Aspen Lodge also has two outdoor hot tubs (with an outdoor fireplace) for guests to enjoy. Bonus: Whitebark Cafe is connected to the hotel via the lobby and they serve, hands down, the best coffee in all of Banff! Thankfully all three of the hostels in Banff are really nice, clean and comfortable. The thing I see time and again is that people often get the Banff International Hostel confused with the HI (Hostelling International) Banff Alpine Centre. Do not make that same mistake! I’ve seen a few people arrive late at night after a long flight/bus journey only to get to reception and realise that the hostel they are booked for is on the other side of town. The names are very similar (I’m sure this is on purpose) so be sure to tell your shuttle driver or taxi the correct name. Just so you know, I did have a problem during my stay at the Banff International Hostel. Like many hotels in town this particular hostel required a large sum of money to be pre-authorised on your credit card or debit card upon check-in as a ‘deposit’. If you only travel with a debit card then the money can take weeks to be returned to your account if it’s from an international bank. I have traveled for many years and stayed at hundreds of hostels (I’ve even worked in the most awarded hostel in Australia) and I have never heard of this procedure being done at a hostel before. I spoke to the manager over the phone about this and how inconvenient it was for backpacker travelers (and how they should state this on the website) but he wasn’t very helpful and quite rude, if I’m honest. Just FYI in case you choose to stay here as I would hate for you to be down hundreds of dollars for weeks like I was without knowing. Note: I never stayed at the HI but I did visit on an occasion. It is beautiful but it is a bit out of town. Whilst they give you free bus passes the bus doesn’t run all night so if you want to party it requires a taxi or dark walk home. My favourite hostel was The Samesun Backpackers. 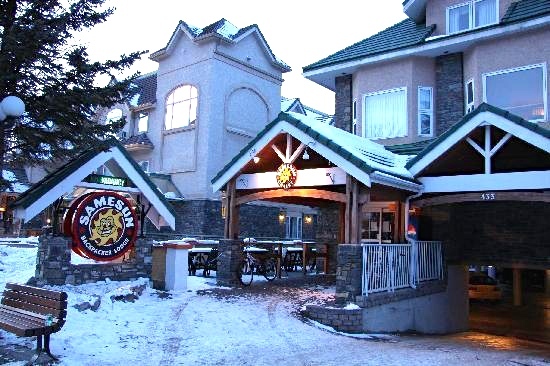 This hostel is a part of a chain of very popular hostels throughout Canada. This one in particular is the closest hostel to downtown Banff, which is a bonus. The rooms and bathrooms were clean, the guests were friendly and the in-house bar/restaurant ‘The Beaver Bar’ had a fantastic atmosphere, great priced food and drinks, nightly and daily activities and a perfect backpacker environment, especially for the solo traveler. Oh and they also have free breakfast, including delicious pancakes! Win-Win really! There you have it! I hope this list of my Top 8 Recommendations of Accommodation in Banff National Park helps you out, so that your time spent in this magical place is absolutely perfect and doesn’t break your budget! Which hotel/hostel would you choose from the list above? Or, which hostel/hotel have you stayed at that you loved/hated? Let me know in the comments below! Great ideas you have shared. Its a great place to visit .And overall its fantastic and helpful too.. I must say that when deciding which hotel deal is the best, do take note of the sometimes significant price differences between the various types of rooms available in a particular hotel which are geared to suit the diverse needs of travelers. It is hence advisable to pick the more moderately-priced options in the lower categories as these rooms typically provide amenities that would still guarantee a luxurious stay while allowing you to enjoy most of the same on-site facilities as the more well-heeled guests. Thank you so much for sharing your great information.